As dawn unravels in all it's glory one fine Barbados weekend, after one too many shots & rums, one cannot simply let the night take leave. As the bartender calls out for last drinks, deciding between the emblematic Caribbean rum and another shot of tequila becomes seemingly impossible. And faced with the morning's sunrise, the harshness of these hard liquors become far too evident. 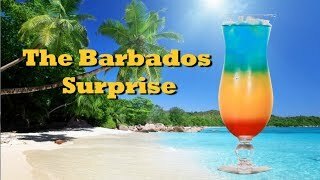 As you crave the refreshing taste of a coke, but are unyielding in your attempts to keep sobriety at bay, your wants and desires metamorphosis's into a concoction that embodies the night you've had, and the spirit of the Caribbean. 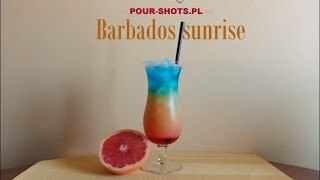 The golden tequila, infused with the caramel rum, eased in with the fizzy goodness of coca cola, the Barbados Sunrise makes for one heck of a salute and an adieu to a night of good times and great memories. Add a shot of tequila, a shot of Coca Cola, a dash of Caribbean rum and top up with a relentless need for the night to go on.